What does Open Government have to do with the Fourth Industrial Revolution? By: Blair Glencorse. This blog post was originally published by the Open Government Partnership. Transparency is central to positive change. Schwab warns us of the dangers that the fourth industrial revolution poses to global governance given the rapid technological advances we are now seeing. Equally, open data provides an incredible opportunity to harness transparency with business to transform governance and economic outcomes. As countries open up- citizens can do everything from following the money meant for public services to collaborating with the private sector to transform cities; and this can translate into improved lives everywhere. But this means data has to be accessible, coordinated and linked as part of feedback channels between users, businesses and governments. The private sector is beginning to lead– just as the impacts of the fourth industrial revolution are ubiquitous, so too are effects of open government. CEOs across the board- in manufacturing, financial services, mining, real estate and others- now recognize that transparency brings value; and that they need to know more about how to address these challenges. The Open Government Partnership provides the ideal vector for this- in Pakistan, for example, the process is largely being led by forward-thinking members of the business community; and in the Philippines the OGP has provided the platform to improve the ease of doing business. 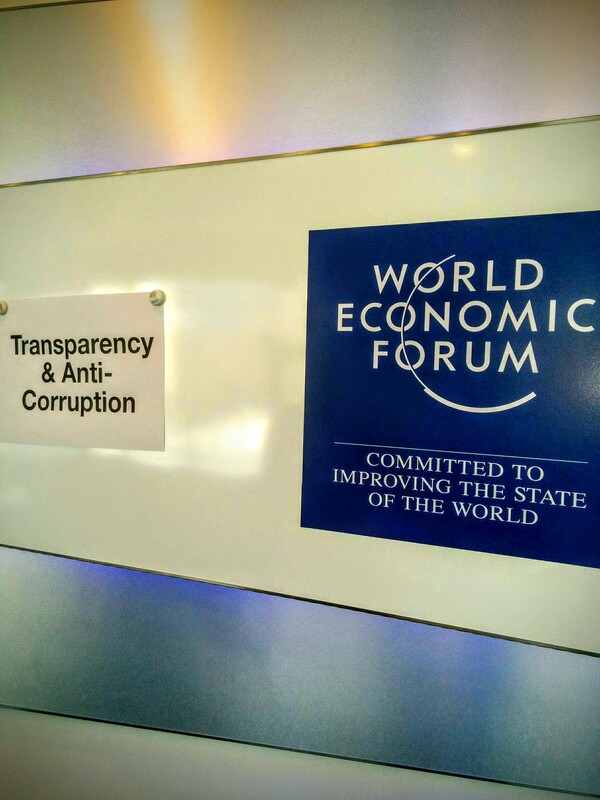 There is huge potential to further align the private sector around transparency in 2016 and beyond. Open government saves money– opacity undermines prosperity by facilitating illicit financial flows, which total as much as $500 billion a year from developing countries alone. Business- particularly the banking sector- plays a central role in this, of course- and we simply cannot ensure development without tackling this issue head on. Thankfully, global norms are beginning to shift- the G8 and G20 are showing increasing interest; while the UN Economic Commission for Africa (UNECA) High Level panel has taken this on directly. The new Task Force on Financial Integrity and Economic Development and BEPS framework are also steps in the right direction. A focus on youth is essential– making governments more transparent is going to take a generation shift. Over half the global population is now under 35- and this is the generation leading the fourth industrial revolution. Conversations in Davos continue to highlight the creativity of youth around the world, and their energy to disrupt the status quo. At the Accountability Lab, our discussions with millennials indicate clearly that their aim is not to become part of a corrupt system but to change it. This requires new approaches that do not dictate frameworks for action but engage them where they are using media, technology, arts and culture. Joint efforts are key to progress– as the economic landscape evolves more rapidly than ever before. Collective action to ensure fair competition- such as the Maritime Anti-Corruption Network in Nigeria for example; or the Clear Wave Initiative in Lithuania- have shown how business and transparency can be linked for prosperity and integrity. The recent Siemens and UN Global Compact handbook on Collective Action is a hugely useful resource for countries and companies working to address these challenges. Collective Action tools are evolving rapidly as new ideas are tried and tested- and that flexibility going forwards will be critical for continued success. Many of the conversations in Davos this year will touch upon open government in one form or another. Let’s hope the world’s CEOs, political leaders and influencers understand how transparency can be harnessed as part of the fourth industrial revolution to improve societies for all of us.